As the 10th anniversary of the EPC approaches, property owners are being urged to review their Energy Performance Certificates as the majority could be due to expire. Certificates could only have a few months left to run before they expire, and it is important to leave enough time to get a new one in place. An EPC (Energy Performance Certificate) is a guide that is used to score the efficiency of a property and is provided to buyers or tenants when they look at a property. What is the purpose of the EPC? The purposed of the EPC is to provide information on energy used as well as energy costs, and set out suggestions on minimising energy use. It shows how efficient a home uses energy, the cost of running a home and recommendations of how to improve the energy efficiency of the property. All properties, domestic or commercial are required to have an EPC before it can be sold or leased. There are some exceptions to this, for example if you are a resident landlord renting out a room or if the property is a listed building, industrial site or place of worship. From the 1st April 2018, new ‘Minimum Energy Efficient Standards’ (MEES) will take effect, which means a landlord cannot grant a new tenancy of a property with an EPC of a rating below an E, and from April 2020 all rented properties will have to have an efficiency rating of E or better. What will the certificate tell me? The EPC certificate will tell you three key pieces of information: 1) it will grade the property A-G for the efficiency of the property (A being most efficient, and G being the least), 2) give suggestions for improving the property’s efficiency, such as installing double glazing to replacing light bulbs with energy efficient bulbs, and 3) it will give an indication as to what rating the property has the potential to achieve based on the suggested guidelines. The certificate will also provide you with an estimation of the costs of these changes and the predicted savings. Carrying out these recommendations will help to improve your EPC rating. What if I don’t have an Energy Performance Certificate? It is against the law to advertise a property without having a valid EPC, and you could face penalties of up to £4,000 if you put the property on the market without one. How can I check my existing EPC Certificate hasn’t expired? Existing certificates can be easily checked through the website of the National Energy Performance Certificate Register, https://www.ndepcregister.com where you will also find details on how to obtain a new EPC certificate. Who can carry out an EPC assessment? 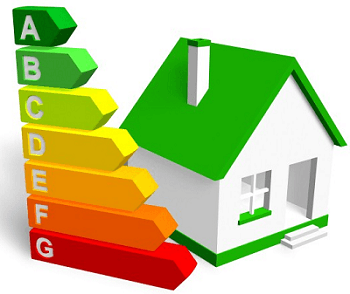 An accredited domestic energy assessor will need to issue you with an EPC; it is not something you can do by yourself. Often Estate Agents or letting agents will offer you this service and arrange for an assessor to visit your property. How much will an EPC certificate cost me? There is no fixed fee for an EPC, it depends on what type of property you live in and how many bedrooms it has. The area the property is in can also affect the price. EPC prices start at £35 but a certificate for a larger house in an expensive city could cost several times that. Why is the EPC’s 10th birthday important? The 10th anniversary of the EPC means that the earliest EPC’s are now expired, and renters and buyers need to check that the date of the certificate is within the last 10 years. Even if you aren’t buying or selling its still important to check your energy efficiency rating as we can all do our bit for the environment by being as energy efficient as possible. This entry was posted in blog, Conveyancing, environment, Property Market and tagged Energy, EPC, Pali Warrington, Property. Bookmark the permalink.